I met Annie through a few different mutual Young Life friends. We’ve never lived in the same place, but somehow over the last several years we’ve become dear friends. I love how the kingdom does that to friendships… not bound by time or distance, but instead held together in prayer and camaraderie that spans miles and miles. I’ll never forget the pit in my stomach feeling when I received a text message in November of last year, asking for prayers for Annie because she had just been diagnosed with ovarian cancer. I’ll never forget the tears of joy that came soon after when I heard of the miracle of her healing. I love what God has done in her heart along the way, and I’m so grateful she’s willing to share some of the story here. This woman is gold, y’all. Enjoy. Looking back on this past year, it’s been one that has completely rocked my world, to say the least. Never could I have prepared myself for what I was about to walk through. Never have I been so terrified, walked through such hardship, and yet grown so vastly in one year. On November 20, 2013, I went in for a routine appointment with my gynecologist to address some “irregular symptoms” I was having. We soon discovered that there was a 10” by 9” tumor on my right ovary (To give you some reference, this is about the size of an eight-month in utero fetus – almost a full term baby). The doctors reassured me that the tumor was benign and that I had a “less than one percent chance” of it being cancerous. “We just need to get the tumor out so that it stops growing,” they said. On November 25, 2013, I went in for a major abdominal surgery to remove the very large tumor within my ovary. My dad recounts the next part of the story in a blog entry he wrote this past February on our journey. 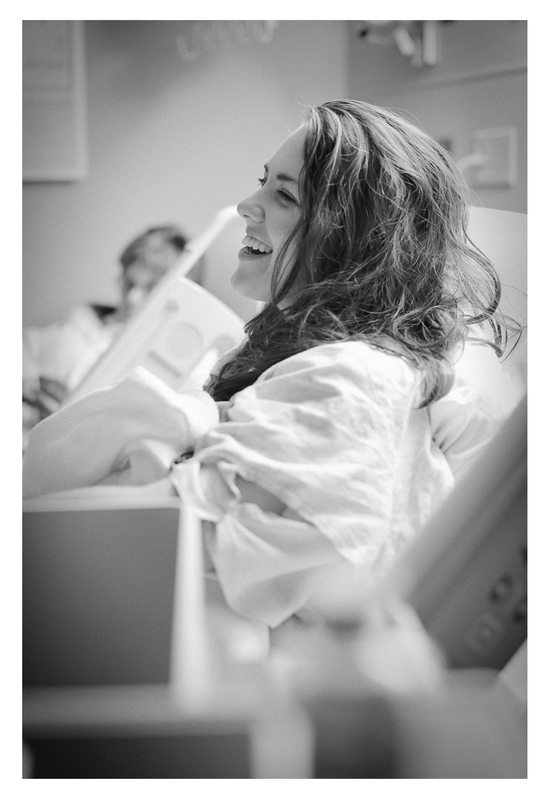 “We sat in the waiting room about 30 seconds before Dr. Numnum [Annie’s oncologist] came out. He looked very serious and his eyes showed evidence of tears that rarely come from a doctor that sees cancer every day. He said, “I need to talk with you all . . . in private.” He seemed to be quite shaken. I spent the next week recovering in the cancer ward, awaiting the results of nineteen biopsies my oncologist had taken within my abdominal region. If the biopsies showed that the cancer had spread, I would need chemotherapy and further surgeries. Also the type of tumor I had did not respond well to chemotherapy, so to put it simple: if the cancer had spread, I would be in big trouble. That next week was not an easy one. My entire abdomen had been cut open and I was in serious pain. By body was having reactions coming off of the anesthesia, and my pain medicine had to be so strong that it’s honestly hard to remember a lot of what happened during that time. Although it was the most horrible and terrifying time of my life thus far, my week in the hospital was also one where I saw the Lord show up in huge ways. I had thousands and thousands of people praying for me: my church in Nashville, my church in Virginia, 1.2 million Rwandan Anglicans in eleven dioceses, college friends, high school friends, music fans, Young Life friends across the country, etc, etc. You name it, they were praying. I had 77,000 followers on my social media outlet “Vine”, that were sending me encouraging video messages, trending hashtags, and telling everyone they knew to pray. It had gone viral. God was doing big things. A week later, I received a phone call from my doctor. “The biopsies came back, and they were all negative,” he said. “Your cancer was contained within the tumor when we removed it and there is no longer any evidence of disease!” I was with my family at the time and we were all jumping up and down, crying, and hugging. We could not believe it! What we had so earnestly and diligently been praying for had been heard and answered. The Lord raised me up from the cancer bed and literally gave me a new life. To answer this question, I’ll have to backtrack and talk about something vulnerable, something that most people may never know about me. Ever since middle school, I have had an ongoing struggle with depression. It comes and goes in seasons, but sometimes it can be extremely present, difficult, and overwhelming. For years and years I’ve prayed to the Lord, asking him to take it away for good. I continuously become frustrated with the struggle and ask God why he would allow it to stay for so long. “Can’t you take it away now?” I would ask God. “Have I not learned and struggled enough? !” It felt as though my questions were always left unanswered. Looking forward to my battle with cancer, I was also often asked the question “Were you mad with God for giving you cancer?” No. I wasn’t mad with God for giving me cancer. Actually, I was expecting a much longer and harder journey with it than I was given. What I didn’t understand was why God would allow me to have cancer and take it away IN ONE WEEK, when others I knew had been fighting the disease for years and years. Even though my struggle with depression has not completely gone away and never fully may, I can be reminded of this journey of the Lord’s faithfulness to me. I can hold fast to his promises and cling to the truth that he holds my life in his hands. Dear friends, I pray the same for you: that no matter what kind of battle you may be walking through, you can hold to the truth that the Lord is powerful and righteous and good. That he loves you more than you may ever know. And though we may never understand why we have to walk through certain hardships, we can rest in the peace that the Lord will use it to grow us and bring himself glory. May you be reminded of the Lord’s never-ending faithfulness in your life. “Great is Thy faithfulness! Great is Thy faithfulness! 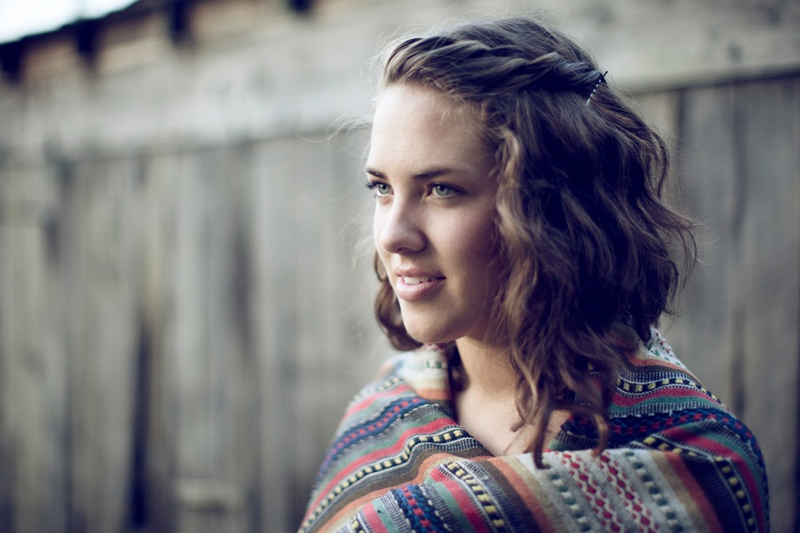 Annie Lawrence is a 24 year-old singer/songwriter living in Nashville, Tennessee. 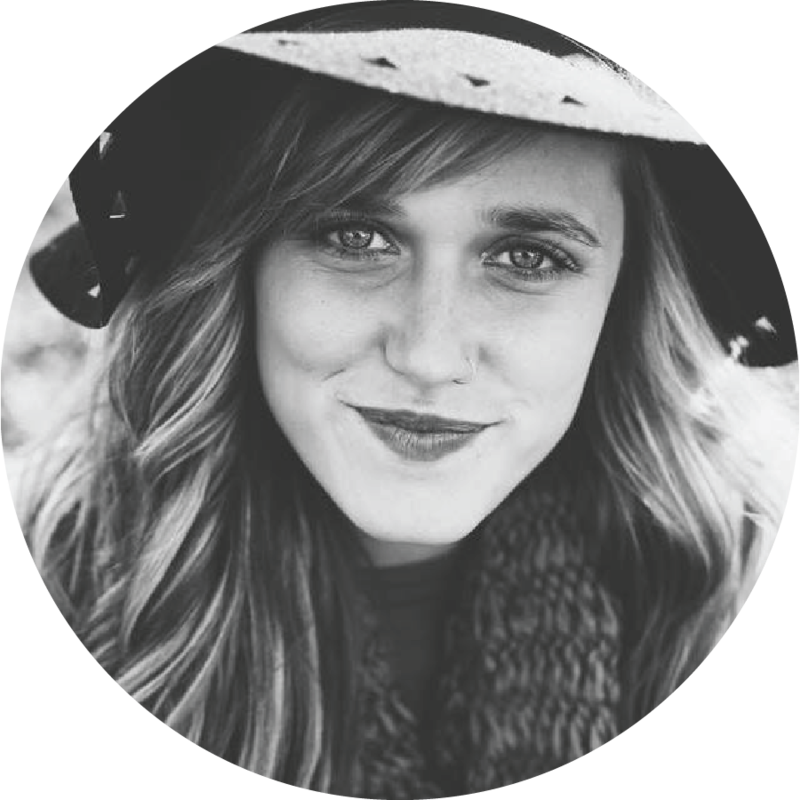 Born and raised in the foothills of Roanoke, Virginia, Annie started her journey with music by serving as a worship leader at her local church in college. 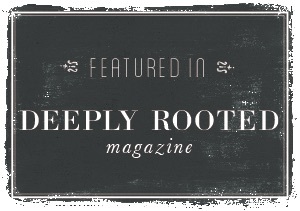 This ignited a passion in her heart to share music and her story with others. In 2011, she released her debut EP, “Light Is Stronger”. 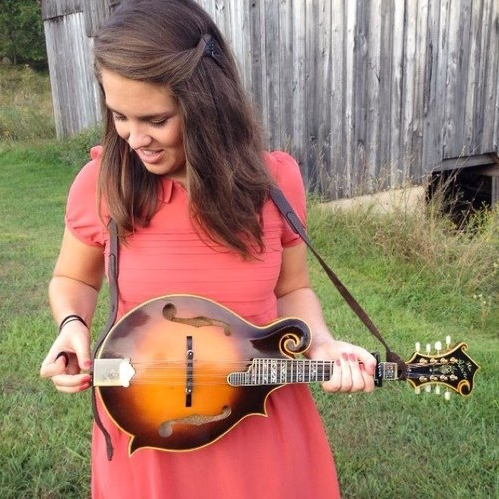 Annie moved to Nashville in 2012 to continue her dream of pursuing music. She continues to serve as a worship leader at her church and for different events across the country. Career highlights include playing at the Grand Ole Opry and being signed as an artist with Weber Mandolins. Annie is currently finishing up work on her second record, which will release in 2015. She continues to share her story and all that has shaped her journey to bring encouragement and hope to others. To read the full story on Annie’s journey through cancer, visit her blog.